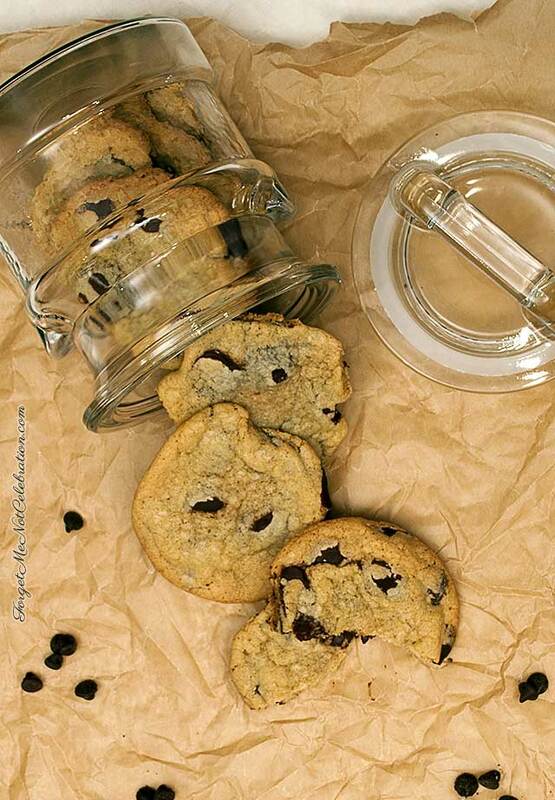 Most everyone loves a chocolate chip cookie, especially when it is fresh from the oven. There is something intoxicating about warm buttery cookies that have melted chocolate chips in them. For me it is a favorite. One of the best things about this recipe is that you hand mix the ingredients. 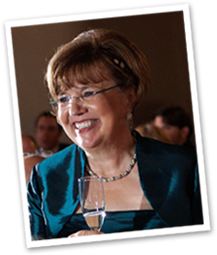 The simplicity gives it that old fashioned feeling that is reminiscent of our grandmothers. I love it!! Additionally, I sent away for a very lovely mason jar that comes with a glass straw. I used it for a creative way to serve a cookie with milk. It would be great for parties. In a medium bowl, mix together the flour, salt and baking soda. Set aside. In a large bowl, place the cooled melted butter. Add the brown sugar and the white sugar and mix the ingredients together with a wooden spoon. Beat in the eggs and the pure vanilla extract. Slowly stir in the flour mixture. Fold in the chocolate chips. Chill the dough for one hour. Line two cookie sheets with parchment paper and preheat the oven to 350 degrees F.
After the dough has been chilled, use a cookie scoop to create balls of cookie dough. Place each mound of dough onto the parchment lined cookie sheets. Each mound should be about 1.8 ounces. The cookies will spread, so place only 6 cookies onto each sheet. Bake for 13-14 minutes until lightly browned around the edges. Cool on the cookie sheets. 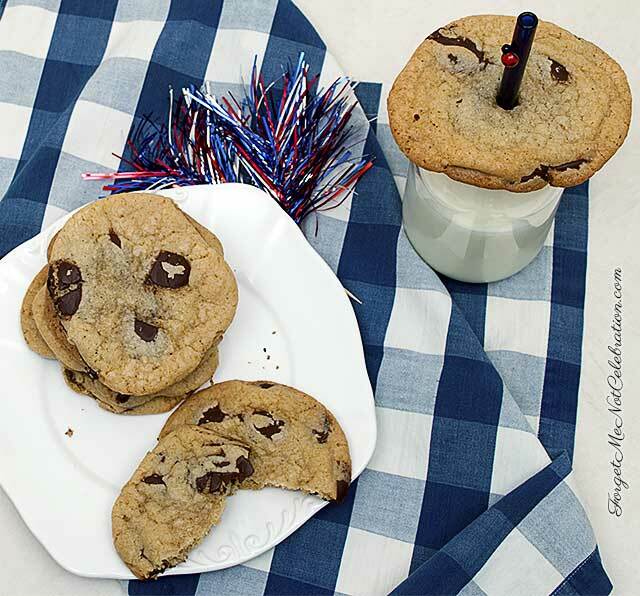 If you want to serve one using the jar and straw, while the cookie is still warm, cut out a hole in the center using the straw as a cookie cutter. 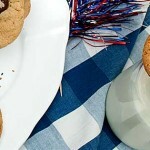 Fill the jar with your favorite beverage, insert the straw and slide a cooled cookie down over the straw. NOTE: My jar came with a screw on top, but you can use just a straw as long as the cookie is wider in diameter than the jar opening. If you want to serve them using the jar and straw, while the cookie is still warm, cut out a hole in the center using the straw as a cookie cutter. 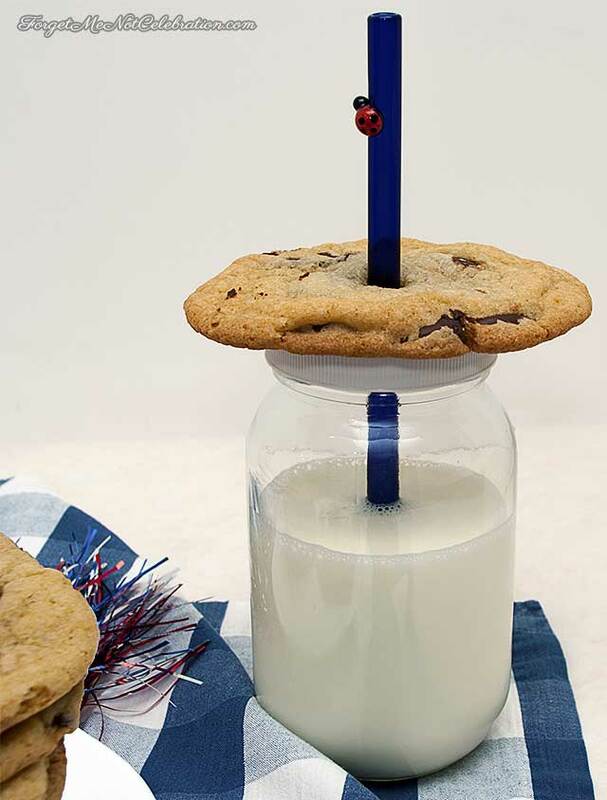 Fill the jar with your favorite beverage, insert the straw and slide a cooled cookie down over the straw.